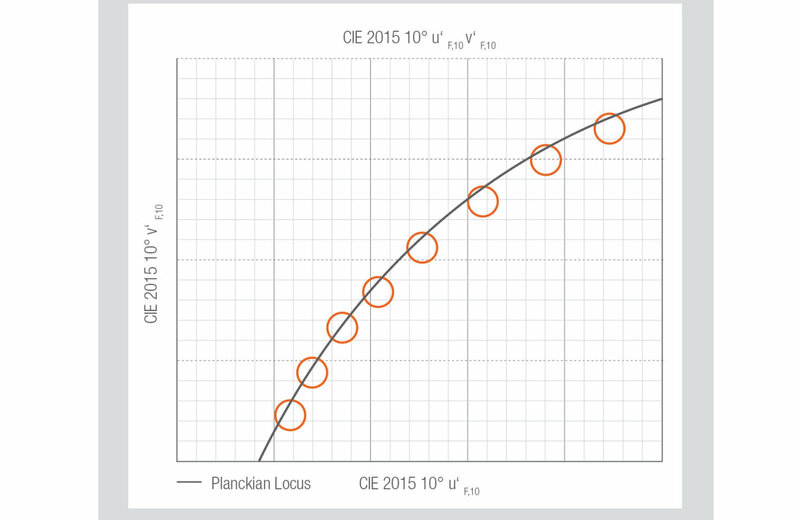 “TEN°“ is the name of the new white binning from Osram Opto Semiconductors. In contrast to the established CIE 1931 2° color space, the recently developed CIE 2015 10° corresponds much better to the physiological perception of color – hence 10° binning. This subject is of particular interest for achieving uniform illumination from spotlights and downlights in which individual white CoB LEDs are primarily used. This new binning will be used for the first time in the new generation of the Soleriq S 13 and will provide optimum color consistency in applications. “Obviously these Soleriq LEDs comply with current industry standards and continue to be completely compatible with existing white groupings. “TEN°“ binning is simply an additional property – and an extremely useful one”, said Alexander Wilm, Key Expert for General Lighting at Osram Opto Semiconductors. If Soleriq LEDs that have been binned on the basis of these latest findings are installed for example in spotlights it will be much easier to avoid differences in light colors compared with products grouped according to the old CIE 1931 2° standard. This in turn means fewer process stages for luminaire manufacturers which would otherwise be necessary because of different white color impressions in the ultimate application. 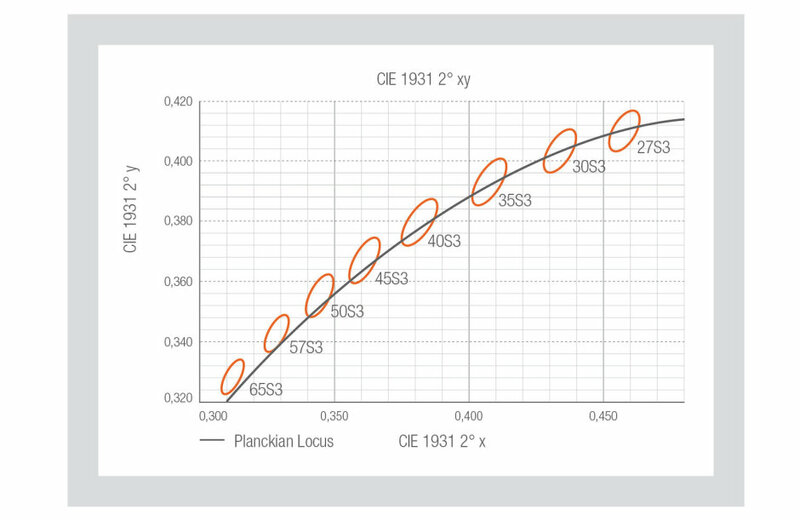 Further information on the new white binning system and the Soleriq S 13 is available on our website www.osram-os.com/tenbinning.